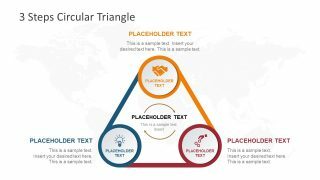 7 Step 4 Layers Circular Diagram for PowerPoint – A flat segmented template is multi-purpose wheel shape diagram layout. The diagram four concentric circles as four layers. 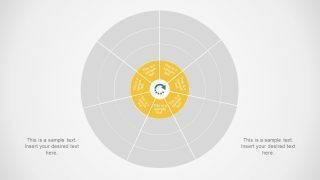 Each circle has seven segments and text placeholders inside to add useful information. 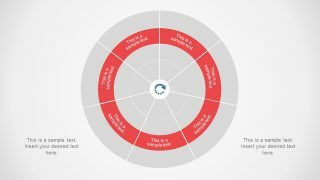 This circular diagram PowerPoint is a creative tool for professionals to illustrate processes and subprocesses. With one circle shape in the center and 28 segments branching out, the diagram design suggests a spoke-hub network layout. Therefore, this presentation can support a range of concepts like business strategies, process flow cycle, quality and security features etc. For example, the core is data server, and each layer depicts a security protocol implemented by an organization. Such as, firewall, software control, network control, and encryption. 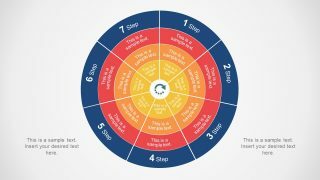 The 7 Step 4 Layers Circular Diagram for PowerPoint contain 5 slides to build logic around core ideas. Here, the first slide is an overview i.e. 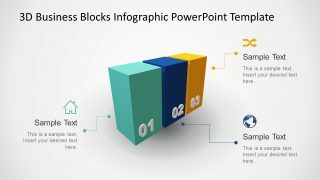 presentation summary or introduction. 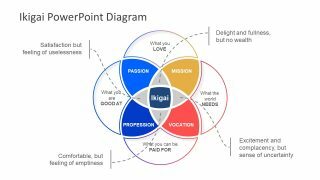 While the next four slides highlight one layer of diagram each, by graying out the other three layers. 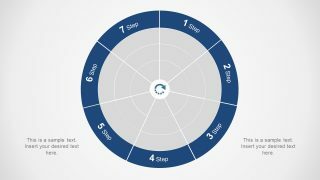 Further, an outermost layer of 7 steps diagram displays a number sequence of segments, assisting with flow of direction. 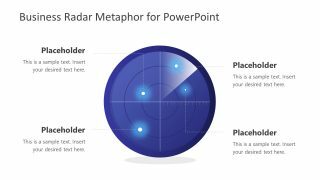 The users can take advantage of an editable circular diagram and APPLY customization features to personalize presentation. For instance, change shape fill or add gradient effect in few simple clicks. But for advanced customization features, try shape effects, animations, and transitions. 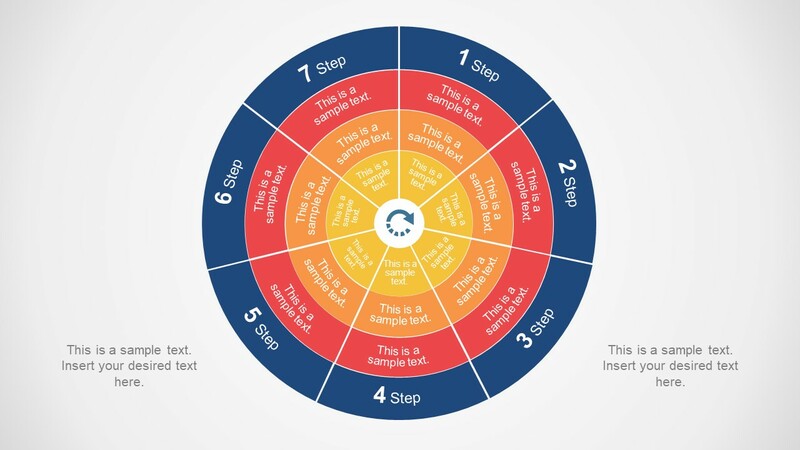 The 7 Step PowerPoint diagram with 4-layer concentric circles is a business presentation tool. However, it benefits the academic professionals and other industries to explain complex theories and more. 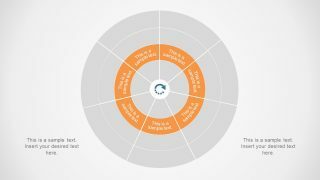 SlideModel.com contain similar 3 layers COBIT 7 Phases PowerPoint Diagram for IT professionals to discuss infrastructure analysis framework.